Any business that thinks it can survive without content marketing is in for a rude awakening. Everyone, from the largest corporation right down to startups, is marketing content as a way to get the word out about their products and services. Any organization that doesn’t realize this, regardless of size, runs the very real risk of being left in the dust. However, many businesses that want to invest in a content marketing strategy may not due to budget concerns. But there are content marketing strategies that can be customized to meet any budget, though they will require that the company commit to them. Before you launch a plan for marketing your content, first take a look at any existing content you may have and examine the ways you can improve it. Your content marketing plans should also focus on developing quality content for your web site as well. The next step in your marketing strategy should be an audit of all your past content. Consolidate everything into one spreadsheet to determine what has worked for you in the past and what hasn’t. To determine if it’s successful, look at how often your content is being shared on social media and how much time people are spending reading it. Note that you may need to hire new staff or a freelancer to write your new content. Do you truly know what your audience is looking for? Read comments on your past blogs as well as what people are saying about your organization on social media. This can also include your competition. Though content marketing can be valuable for your organization be aware that it may not always translate into sales. One way to set goals is to look at the conversations that are springing up surrounding your content or shares. Now that you’ve created a content marketing strategy, you’ll need to set a realistic timeline for implementing it. You also need to be aware that while one of your posts may just go “viral,” this is exceedingly rare and a successful marketing strategy often takes time. One of the top content marketing strategies is to lock in a 12-month plan that includes bringing together a creative team and writing a month of content within the first three months, measuring key performance indicators and tweaking your strategy in the first six months. By the time the first year rolls around, you should have enjoyed success and figured out what will prove successful. Once you’ve found content that works for you, remain consistent. Look at the traffic that certain blog posts generate and consistently post similar content. Short posts can be used for more in-depth content and you can even republish old content with new and updated information. Posts based on new developments in your industry will also generate traffic, so keep up-to-date via news alerts and follow any related social media feeds. Customers’ feedback can also provide ideas for content as well. As a top provider of content marketing strategies, Numero Uno Web Solutions will deliver winning Web content that includes relevant blog posts, press releases, and static content. Our team of writers will create unique material for marketing your products and services that emphasizes your business’ strengths. A successful marketing strategy includes not being overtly promotional. Content written by Numero Uno writers will draw the reader in before making a call to action at the end of the blog post or press release. Best of all, we will provide you with content marketing strategies that fit your budget. 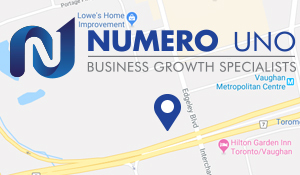 For more information, contact Numero Uno Web solutions today.